October 4, 2017  This all-autumnal playlist is full of tunes for putting an extra blanket on your bed, featuring music from Nick Drake, Ella Fitzgerald and more. February 4, 2016  The Colombian band has a long history of widespread influence and electronically enhanced grooves. Hear the band's founder in a music-filled discussion with Alt.Latino. June 5, 2007  All Songs Considered host Bob Boilen chats with NPR reviewers Robert Christgau, Meredith Ochs and Will Hermes about the CDs they're most looking forward to this Summer. July 22, 2002  On this episode, we dig through our archives to bring you some of our favorite artists and albums featured on All Songs Considered during the past two years. July 1, 2000  In the fourth edition of NPR's All Songs Considered, we cook with Ginger Baker, wail with Bix Beiderbecke and more. July 27, 2015  Covering the elusive Nick Drake is rarely successful, but Lizz Wright's smooth, trumpet-accented version of "River Man" has the right kind of self-possession. 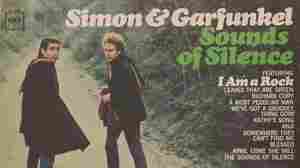 April 14, 2013  The English folk artist died long before his songs found a wide audience. Joe Boyd, who produced two of Drake's three albums, is releasing an album of live performances culled from a series of Nick Drake tribute concerts. April 18, 2013  Some music feels so personal, it's hard to think about sharing it with anyone else. A new tribute album of songs by the folk singer Nick Drake (featuring many musicians who themselves hold Drake dear) tests the limits of one critic's ability to share that love. February 6, 2013  Veteran producer Joe Boyd says he'd long resisted putting together some sort of tribute album for his late friend, the legendary folksinger Nick Drake. But Boyd finally decided to make one when he realized that the recordings could be captured in a live concert. November 4, 2007  The adventurous pianist is a throwback to classical musicians of the past who blurred the line between classical and popular music. O'Riley, inspired by his favorite pop artists such as Radiohead, transforms their songs into intricate piano solos. 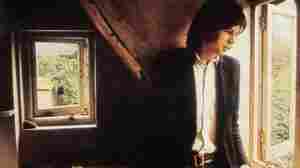 July 26, 2007  Nick Drake never bothered with covers on the three albums released in his lifetime. 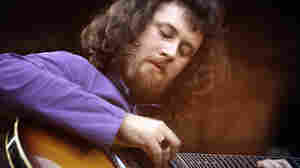 Part of that may have been due to the specific sadness at the core of his music, but the traditional ballad "Winter Is Gone" shows that his melancholy didn't sprout from nowhere. February 2, 2000  A current car ad campaign has revived interest in a long gone singer songwriter. 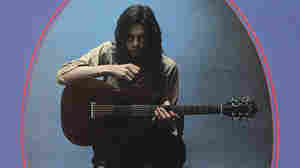 Volkswagen is using music by Nick Drake, who died in 1974. His music is known by few, but it influenced many. Tom Moon takes a brief look at the life of a musician whose short life has been has been eclipsed by his music. (4:30) Way To Blue: An Introduction to Nick Drake, is available on Island Records.